I have had to reinstall Windows on several PCs in the last few days. I can't activate Multi KVM Pro. I have 2 serials and both seem to be used on another machine, which they are not. Please reset my activations for both serials. Also do the same for CursorFX, please. I have forwarded your problem to Stardock Support team for their assistant. Please keep an eye on this thread for any updates. We appreciate your feedback and patient. You should be all set, I've reset your activations on both Multiplicity KVM and CursorFX. Well, maybe not so much? Did multiplicity work? I tried resetingr cursor fx again, did that work? Multiplicity worked, CursorFX still not working. Sorry to hear you are having issues. Maybe there is two CursorFX under your account. 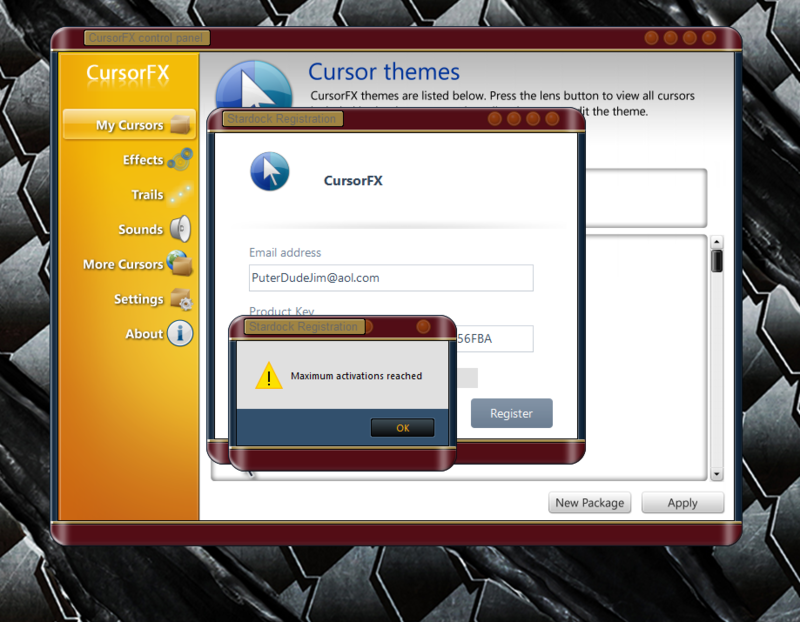 Like me, I have 1 individual CursorFX and another under ObjectDesktop license. BTW you can try to deactivate those license yourself at the "My Account>My Download" https://store.stardock.com/myaccount/products. Try that and let us know if you still need assistant from us. Basj, the deactivate doesn't work for CursorFX. It isn't there. I have CursorFX Plus, by the way. It isn't listed under ObjectDesktop. The older apps, like CursorFX Plus, DesktopX, IconDeveloper, etc. do not have the new ability to "change license" or deactivate. I did uninstall and reinstall, still won't activate. Ok, Need someone with power to do the Stardock's License Key reset to help you. I'll hi-light your problem again to the Support Team. Thank for your patient.